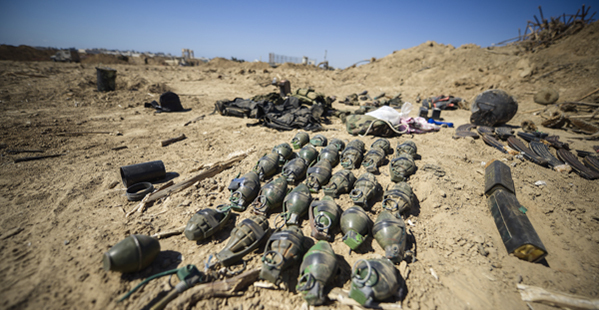 Arms and munition found in a Hamas tunnel in Rafah, Southern Gaza Strip. An employee of France’s consulate in Jerusalem is under arrest for allegedly smuggling dozens of weapons from the Gaza Strip to the West Bank, Israeli officials said. Domestic security agency the Shin Bet said the man, identified as French national Romain Franck, 23, was part of a broader Palestinian smuggling ring and used his consular vehicle, which is subjected to more lenient security checks, as cover to transport the weapons through Israel’s tightly secured border with the Gaza Strip. The Shin Bet said Franck took part in the ring for financial gain and that his employer was unaware of his actions. The consulate in Jerusalem declined to comment, and also declined to confirm whether Franck was an employee. 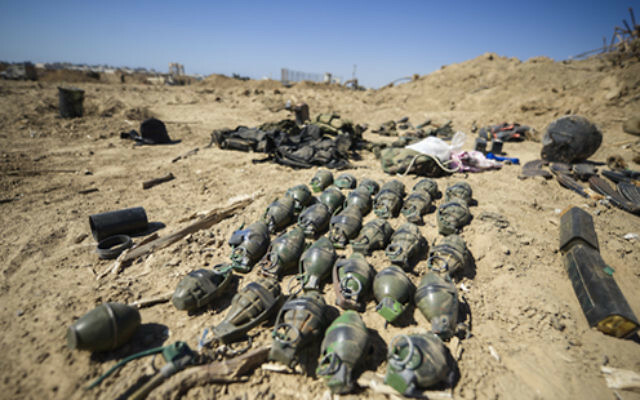 “This is a very serious incident in which the privileges and immunity granted to foreign missions in Israel were cynically exploited to smuggle dozens of weapons that could be used in terror attacks,” the statement said. The Shin Bet said Franck transferred 70 handguns and two assault rifles on five occasions over recent months. It said he received the arms from a Gaza man employed at the French cultural centre in Gaza and brought them to someone in the West Bank, where they were then sold to arms dealers. The Shin Bet said Franck, who was arrested in February, confessed to the charges. A gag order on the case has now been lifted. Nine people, including Franck, were arrested, the Shin Bet said, adding that he and five others would be indicted later on Monday. Among the suspects is a Palestinian security guard at the French consulate in Jerusalem. The Shin Bet said French authorities were kept aware of developments on the case during the investigation. Israel has previously accused international officials, among them Palestinian UN workers or those for non-governmental organisations, of participating in hostile activities, including collaborating with Gaza’s militant Hamas rulers. But the charge against a French citizen employed by a diplomatic mission is rare.